Mr. Cem Özdemir, National Chairman of the Bündnis 90/Die Grünen (German Green Party) and Member of the German Bundestag visited Armenia on March 11-14, 2015 where he held high level talks with politicians and civil society representatives among others. Cem Özdemir is National Chairman of the Bündnis 90/Die Grünen (German Green Party) and Member of the German Bundestag. Özdemir was born in Bad Urach, Germany, in 1965. His Turkish parents moved to Germany where they met after arriving in the country in the early 1960s as so-called guest workers. An educator by profession, Özdemir completed his university studies in social pedagogy in 1994 at the Reutlingen-based Evangelischen Fachhochschule für Sozialwesen (Evangelical Technical College). 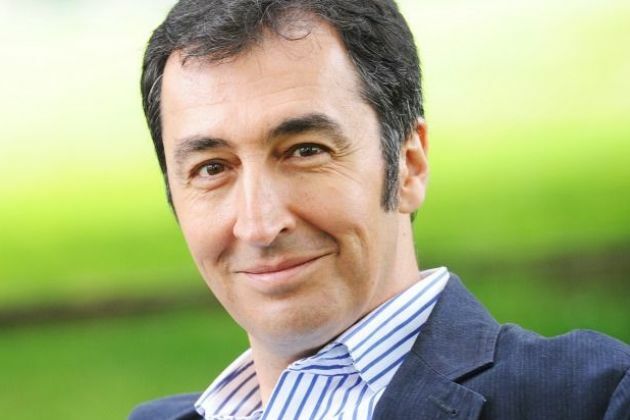 A member of the Green Party since 1981, Cem Özdemir was elected to the German parliament in 1994 and became its first-ever member of Turkish descent. He served two legislative terms and was Speaker on Home Affairs for the Green Parliamentary Group. Özdemir was a major advocate for the reform of Germany's citizenship law, which was enacted in 2000. In 2003, Özdemir served as Transatlantic Fellow at the German Marshall Fund of the United States in Washington and Brussels. During this time, he deepened his knowledge of the transatlantic relationship and studied the ways minority communities organize politically on both continents. From 2004 to 2009, Özdemir was a Member of the European Parliament (The Greens/European Free Alliance). He was Speaker on Foreign Affairs for his political group, the Parliament’s rapporteur for Central Asia, and Vice President of the European Parliament's Temporary Committee on the Alleged Use of European countries by the Central Intelligence Agency for the Transport and Illegal Detention of Prisoners (whose final report was adopted by the European Parliament in 2007). Özdemir is the author of several books on multicultural Germany including Currywurst und Döner: Integration in Deutschland and an autobiography, Ich bin Inländer. In 2008, he published a book for young people called Turkey: Politics, Religion, Culture. For his social engagement, the World Economic Forum named Cem Özdemir a Global Leader of Tomorrow in 2002 while SFB-Radio recognized him as Multicultural Man of the Year in 1997. For his contribution to lessen prejudice between Germans and migrants, he was awarded the Theodor Heuss Medal and the Civis Media Prize. In 2009, the Turkish University of Tunceli awarded Özdemir a honorary doctorate for his work promoting cross-cultural understanding. Özdemir sits on the Political Advisory Council of the Bundesverbandes Mittelständische Wirtschaft (German Association for Small and Medium-sized Businesses), as well as on the advisory councils of the American Jewish Committee (Berlin office), the Hertie Stiftung’s START-Programm, and the Hrant Dink Stiftung. He sits on the boards of trustees for the Deutsch-Türkischen Forums Stuttgart e.V. and for the Theodor-Heuss-Stiftung. Özdemir is also founding member of the European Council on Foreign Relations. Married with two children, Cem Özdemir lives in Berlin.